The last battle has been won, the final speeches have been spoken and the dust has begun to settle on the Peter Capaldi era. 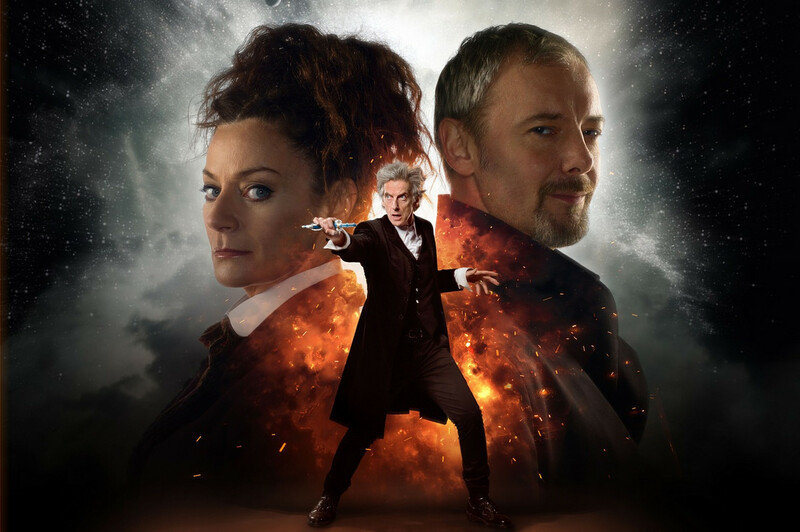 The Twice Upon A Time DVD and Twice Upon A Time Blu-ray are available from the DWCA Shop now, so we thought we would take a look back at the milestones of the Twelfth Doctor’s era, as well as all the nods to the Doctor’s Australian fans, both on and off screen. 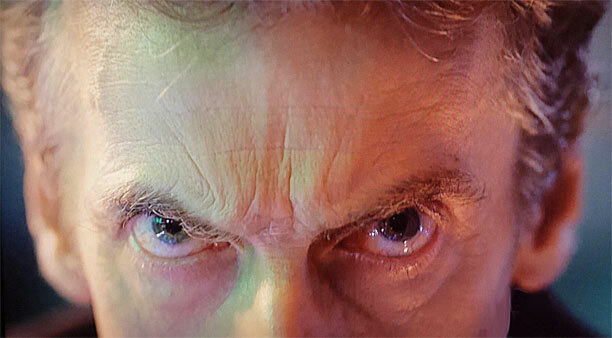 On 4 August 2013, Peter Capaldi was unveiled to the world as the actor who would play the Twelfth Doctor. Peter was given a rockstar reception in a live television event that announced his casting, complete with lasers, LED screens and a huge cheering audience. Fans were treated to a cheeky glimpse of the Twelfth Doctor on 23 November 2013, with Capaldi’s Doctor making his first on-screen appearance in a brief cameo in the 50th anniversary special The Day of the Doctor. 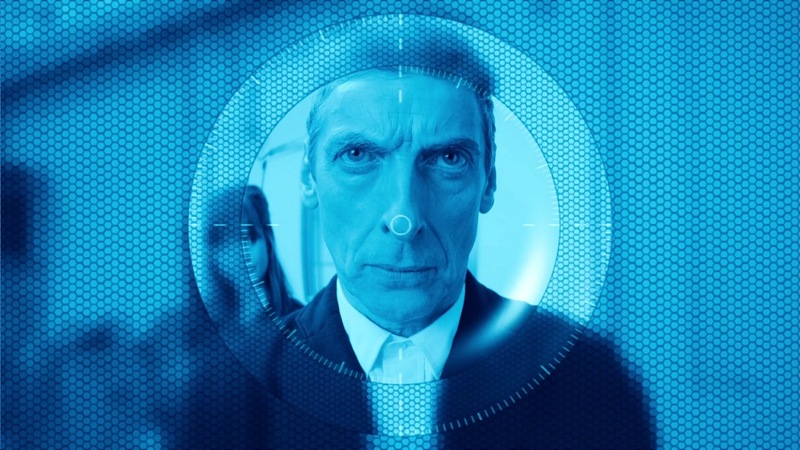 Capaldi appeared in only two shots, one showing his hand operating the TARDIS controls, and another focusing on his eyes, in a move designed to conceal his character’s still-to-be-unveiled costume. 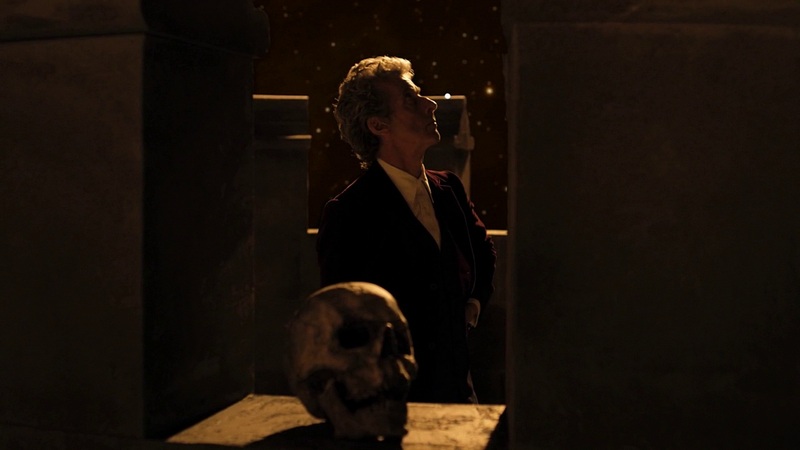 Capaldi’s first full scene as the Doctor came on 25 December 2013, with the closing moments of The Time of the Doctor seeing the Doctor regenerate into their latest incarnation. Whilst all regenerations since 2005 had featured morphing faces and streams of glowing orange energy, this scene eschewed the usual style in favour of a brief flash of light, sparking some fans to compare the regeneration to a sneeze or, less flatteringly, a fart. 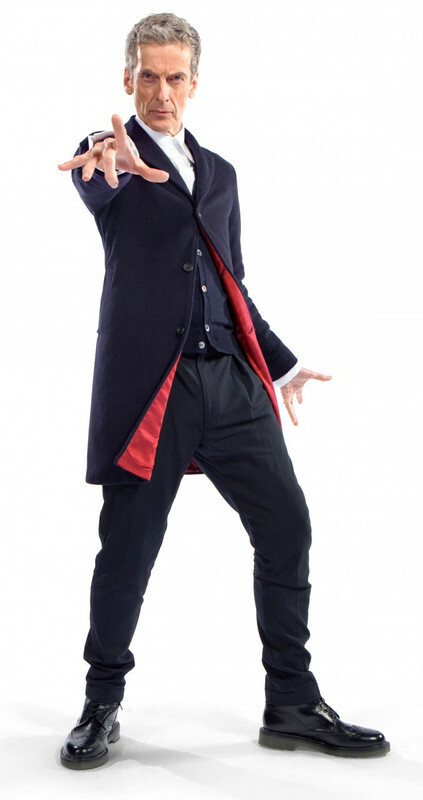 The Twelfth Doctor’s costume was unveiled on 27 January 2014. Sporting a sleeker look than his predecessor, Capaldi described the ensemble as “back to basics…no frills, no scarf, no messing, just 100% rebel Time Lord”. Whilst the costume would evolve over time, the overall look of a mid-length coat, dark trousers and boots would stick throughout the Twelfth Doctor’s era. August 2014 saw the most ambitious publicity blitz in the history of Doctor Who, with Peter Capaldi, Jenna Coleman and sometimes Steven Moffat attending screenings, panels and press photo ops in six different countries. 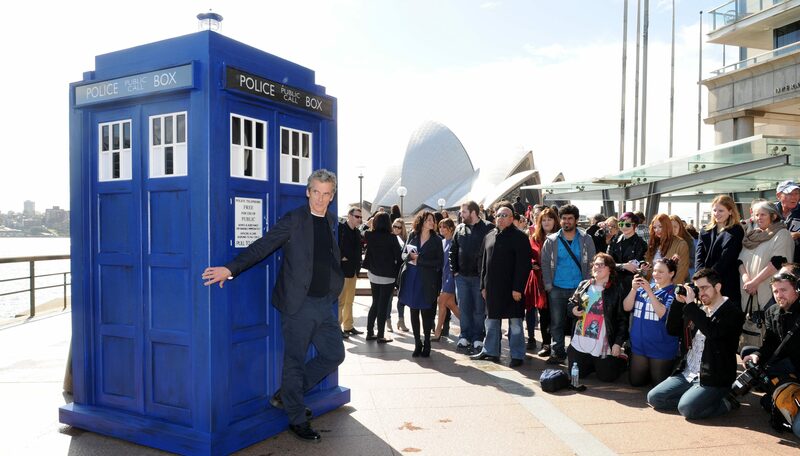 Doctor Who: The World Tour hit Sydney on 12 August 2014, with a photoshoot on Sydney Harbour and a public screening and Q&A at the State Theatre. Peter also spoke to Julia Zemiro in a special one-off interview programme, When Julia Met The Doctor, for ABC TV. Hot off the back of the World Tour, the Twelfth Doctor made his first full-length appearance in Deep Breath on 23 August 2014. At 76 minutes, this was one of the longest individual episodes in the history of the programme, and saw the first appearance of a mysterious new character called Missy. This episode was simulcast in the wee hours of the morning on ABC TV in Australia, and was available on iView immediately afterwards. Although the simulcasts were dropped after Capaldi’s first series, the iView launch right after UK broadcast was maintained for the duration of the era. Capaldi’s second episode as the Doctor would prove no less significant than his first, with the newly minted Doctor facing the Daleks. Broadcast on 30 August 2014, this episode introduced a new recurring character, Danny Pink, as a love interest for companion Clara Oswald, as well as marking the first appearance of Rusty the Good Dalek who would make a surprise return in the Twelfth Doctor’s final episode. 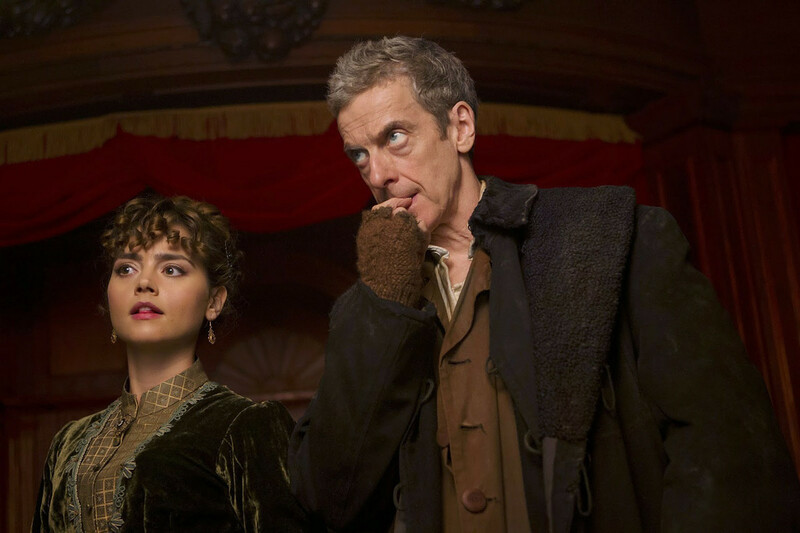 The finale of the Twelfth Doctor’s debut series boasted a number of firsts. 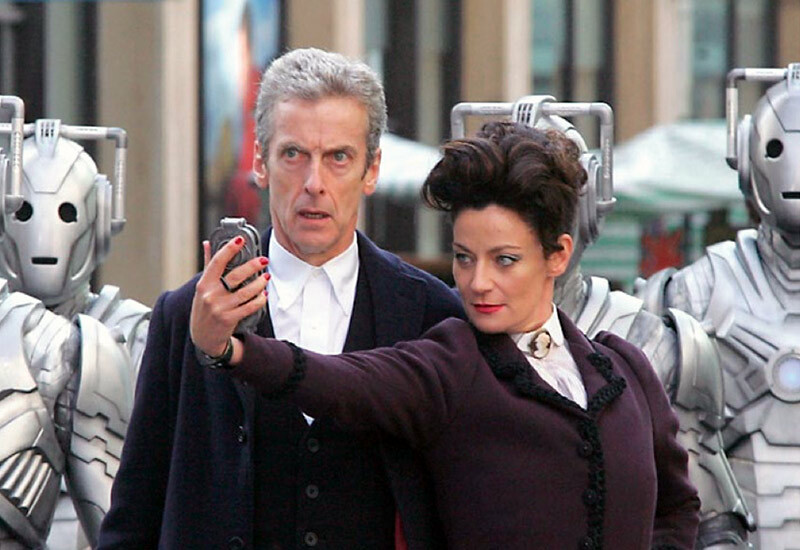 Broadcast on 1 and 8 November 2014, Dark Water/Death in Heaven featured the Twelfth Doctor’s first encounter with the Cybermen, as well as Kate Stewart and Osgood of UNIT. Perhaps most significant of all was the revelation that Missy was a new incarnation of the Master, providing the first on-screen demonstration that Time Lords can change gender when they regenerate. The Twelfth Doctor’s second series started with a bang, The Magicians’ Apprentice/The Witch’s Familiar airing on 19 and 26 September 2015. The two-parter saw Doctor going head to head with the creator of the Daleks, Davros, in the character’s first television appearance since 2008’s The Stolen Earth/Journey’s End. What’s more, the Doctor’s trusty sonic screwdriver was all but destroyed, and a new device – a pair of sonic sunglasses – took its place. Whilst controversial at the time, the sunglasses would become part of the Twelfth Doctor’s distinctive look, and he would even continue to use them after being gifted a new screwdriver by the TARDIS. 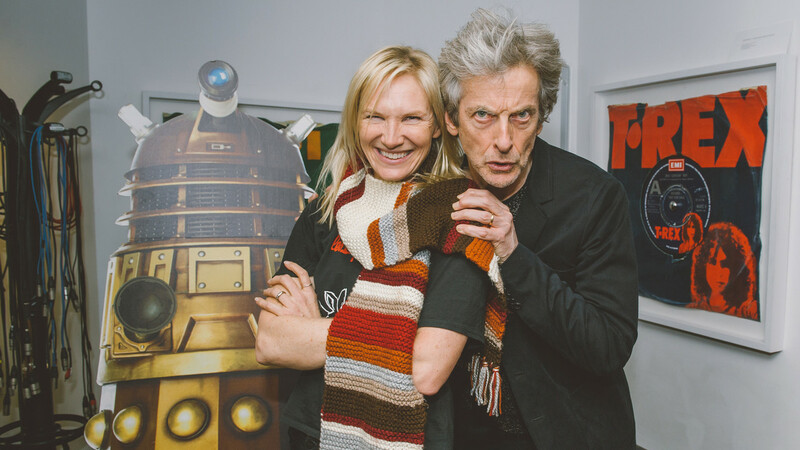 Members of the Doctor Who cast and crew embarked on a huge international event with The Doctor Who Festival in November 2015. The Australian leg featured costume showcases, monster parades, talks by Australian-based director Daniel Nettheim and plenty more, but perhaps the highlight came on the final day of the event (the day before Doctor Who’s 52nd anniversary) where a team made up of Steven Moffat, Peter Capaldi and Mark Gatiss entered the festival’s trivia competition alongside teams of fans. Their team, ‘The Time Wasters’, came third. From the ridiculous to the sublime: Heaven Sent, arguably the Twelfth Doctor’s finest episode, was broadcast on 28 November 2015. With virtually all the dialogue spoken by the Doctor and no guest cast other than a monster and some very small cameos, Heaven Sent features a tour de force of a performance from Peter Capaldi and a script from Steven Moffat that is a masterclass in storytelling. This was proof that, even after 52 years, Doctor Who was still capable of producing something utterly unique. 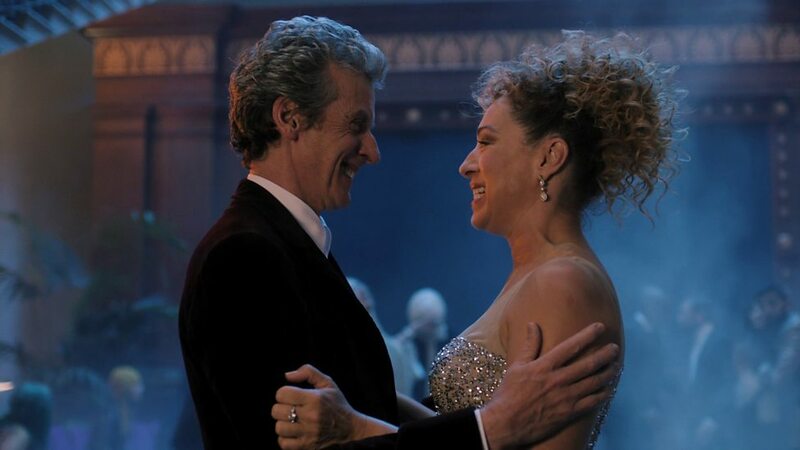 The Twelfth Doctor’s first encounter with his wife came on 25 December 2015 with the broadcast of The Husbands of River Song, This Christmas adventure looked at the character of River from a different angle, showing what River gets up to when the Doctor’s not around (or at least, when she thinks he’s not around!). This episode also introduced the character of Nardole, who would make the unlikely journey of being a comedy head for a giant red robot to being a loyal friend of the Doctor’s and a companion loved by many fans. 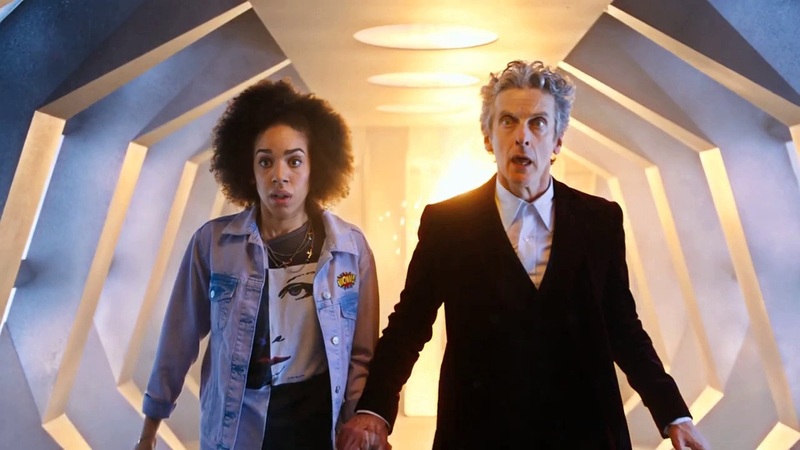 23 April 2016 was the day we learned that Pearl Mackie would be joining the Doctor Who team, playing the Doctor’s new companion, Bill. In a first of its kind, the casting was announced in a special short scene broadcast on BBC One and released on social media shortly afterwards. A shorter version of the same scene would end up in Bill’s first episode. 2016 would be a year without much Doctor Who on television, but in its place came the new spin-off, Class. Aimed at a young adult audience, Class told the story of a group of students at Coal Hill Academy (whose past teachers included Clara Oswald and Danny Pink) who defend the Earth against alien threats whilst navigating the messy business of growing up. 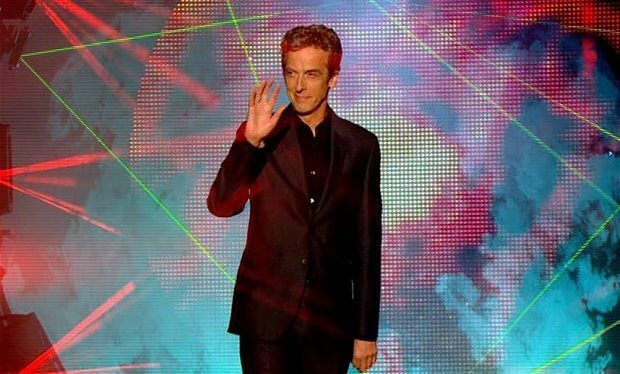 Peter Capaldi made a special guest appearance in the series, stepping in at the climax of the first episode broadcast on 26 October 2016. Despite boasting lots of potential and including a hugely memorable anti-hero in the shape of physics teacher Miss Quill, the series suffered from muted publicity and oddball scheduling, meaning many Doctor Who fans were unaware of its existence. The series was cancelled after one season, the final cliffhanger featuring the Weeping Angels left unresolved. To the surprise of many fans, Peter Capaldi announced his departure from Doctor Who during a radio interview on 30 January 2017. Speculation as to the identity of Capaldi’s successor began almost immediately, with Ben Whishaw and Olivia Colman amongst the early favourites with bookmakers. Capaldi’s final series as the Doctor launched on 15 April 2017 with The Pilot. 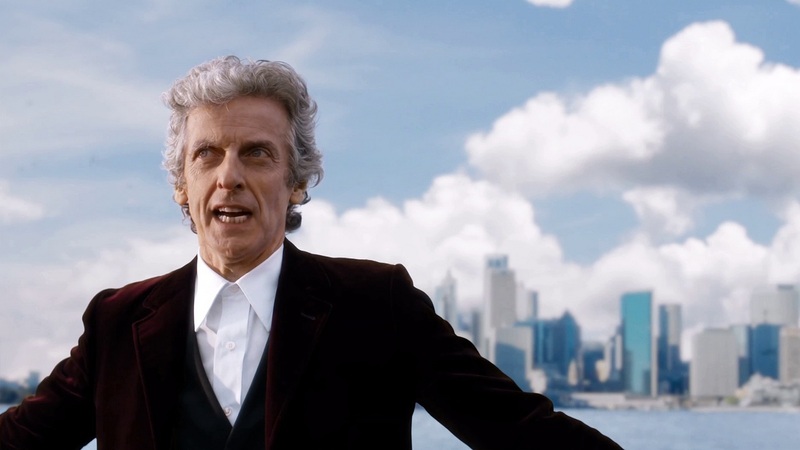 Aside from introducing Bill, the episode also included a brief visit to Sydney Harbour, marking the first time the Doctor had visited our shores on screen since The Enemy of the World in 1967/8. World Enough And Time, along with its companion episode The Doctor Falls, would conclude Capaldi’s final season in explosive fashion on 24 June and 1 July 2017. Aside from featuring the return of the original iteration of the Cybermen, unseen on screen since 1966, it was also the very first televised multi-Master story and heavily reflected on Missy’s journey of redemption throughout the Twelfth Doctor’s era. The Capaldi era came to a close on with Twice Upon a Time on 25 December 2017 – exactly four years after his first full scene in The Time of the Doctor. It was a special occasion with the return of many familiar faces, including the First Doctor, now played by David Bradley. Having cemented his reputation as an impressive orator, the Twelfth Doctor gave the last of his signature speeches during his regeneration scene before passing the baton to the Thirteenth Doctor, Jodie Whittaker. Capaldi’s Doctor was infinitely mercurial – sharp, warm, passionate and playful all at once. Himself a fan since childhood, Capaldi was very generous with fans even under the pressure of the intense Doctor Who production and promotion schedule – a generosity that Australian fans experienced first-hand at the Doctor Who Festival. It may be a small part of his legacy as the Doctor, but the Capaldi years gave a real acknowledgement of the love that Australians have for Doctor Who – and we love him a little bit more for it. Want to grab a copy of Twice Upon A Time? You can pick up a special release packed with extras on DVD and Blu-ray from the DWCA Shop now. Don’t forget to check out our full range of classic and new series DVDs and Blu-rays here. « Twice Upon a Time Available Now From The DWCA Shop!